Happy February! Growing up in Pennsylvania, the 2nd of February was an exciting day...Groundhog Day! On this day, the people of the little town of Punxsutawney nudge a groundhog from its burrow. If the groundhog (named Phil) sees his shadow and hides it will be six long weeks of winter weather. But, spring will come early if Phil is not scared back into his home! 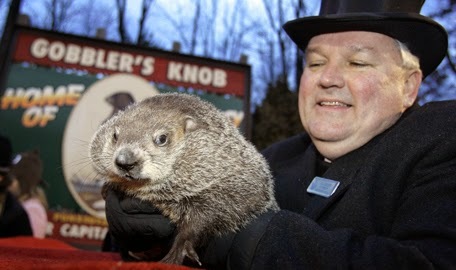 Let's hope that Punxsutawney Phil predicts a short winter! You may wish to explore this and other types of weather lore as part of your science studies this week! In math, we will continue working with area with a focus on finding surface area of prisms and pyramids. You will have plenty of practice in class to master this skill. You will need to complete homework Monday and Tuesday evening. In addition, please complete your weekly Compass Learning and journal by Friday. You will have a quiz on surface area Thursday. 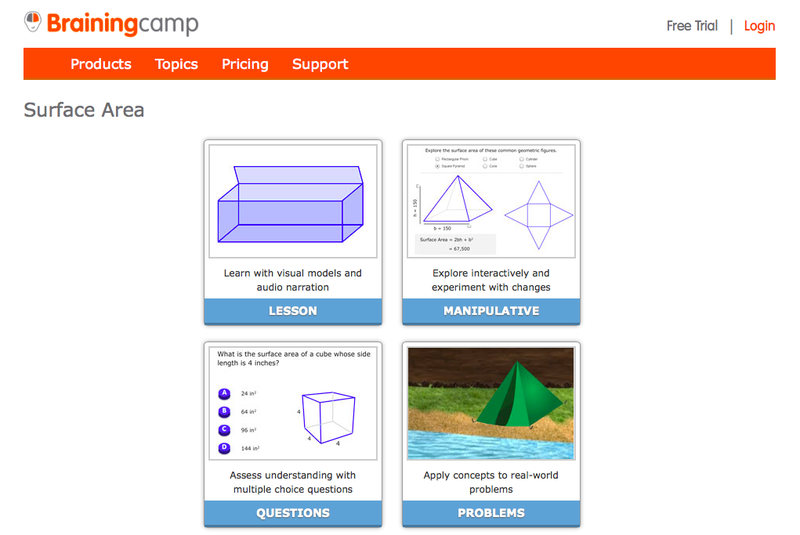 You may wish to use the following interactive lesson from Brainingcamp for some extra practice. Let me know how you like it! Weather continues to be our topic of study in science this week. Now that you know the foundations of what causes weather to happen, we can take a look at some patterns take place in weather around the world. Here is a copy of the lesson visuals I will share with your Monday. You will have at test on weather patterns next Friday. To help you prepare for the test (and to learn as much as you can about weather patterns) please complete the following choice sheet. It is due Friday, February 13. You can use the following study guide to help you study for your bi-weekly vocabulary quiz (Friday, Feb. 6) and chapter test (Friday, Feb. 13). This week also marks Severe Weather Preparedness Week in Georgia! We will take some time this week to talk about severe weather safety, create plans for preparedness, and practice severe weather drills. www.ready.ga.gov is a great site for you to use to get all kinds of information about being safe in severe weather. Some special guests from the Chatham Emergency Management Agency will be visiting our room to speak to us about weather safety. You will get to share what you learned from their visit when completing your weekly journal. The Georgia Parent Survey will be available until February 27. This new survey requests information from families to correlate information from student and school personnel surveys. although it is not mandatory, parents are asked to complete this brief survey. Your feedback is appreciated. Please click HERE to access the survey. Even though our formal exploration of area of composite figures is wrapping up tomorrow, I urge you to continue to practice this skill on your own. Repeated practice will keep this concept fresh in your mind. 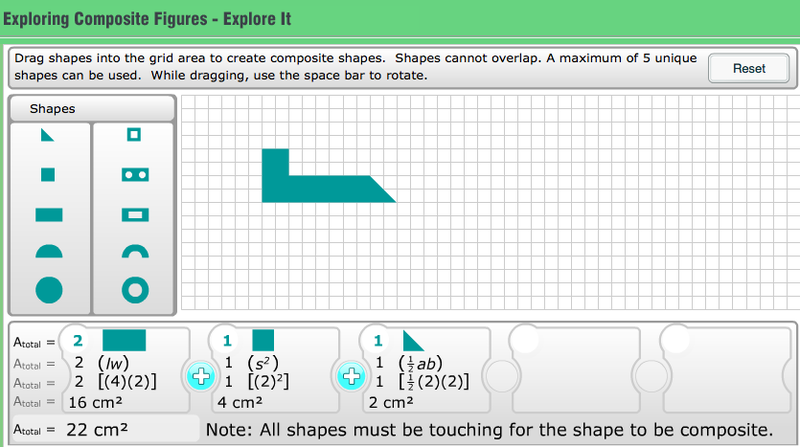 You can use this awesome interactive activity to do so. The S'COOL Project involves students (ages 5-20+) in real science, making and reporting ground truth observations of clouds to assist in the validation of NASA's CERES satellite instruments. Clouds are an important part of our atmosphere, and scientists are studying how they affect our weather and climate. S'COOL observations provide one more piece of the puzzle (description taken from S'COOL Project website). Our classroom will be participating in the program by making daily observations using the following form. After the data is collected, it will be sent to NASA's scientists. Click below to be taken to the data reporting website. The data will then be used to help calibrate the CERES weather instrument! This week marks us making it 1/12 of a revolution around our beautiful sun! Let's celebrate this milestone together by having a fun and productive week at Ellis! Our math lessons will again focus on finding area. We will take our work to the next level by combining polygons to create composite figures and then find their areas. Below are the slides I will use when teaching this lesson. Use it to review the process when practicing the skill. Kindly complete two Compass Learning activities by Friday. In addition, you will need to submit two math homework assignments on Tuesday and Wednesday. A quiz on finding area of composites will be administered Thursday. Math tutorial will take place Tuesday and Thursday after school from 3:15-4:00. You will have plenty of work time this week to continue your research associated with weather. Use your "Cloudy With a Change of Learning" choice sheet to guide your studies. Please have your four choices completed and ready for my review by Friday. You will also have a test on weather Friday. Use your study guide to help you prepare for it. Last week we used the water cycle dice to create a personal journey through the cycle. This week, you will share your journey as part of your weekly journaling activity. Please complete the journal on Google Classroom by Friday. Don't forget that this Friday is a dress down day for $1.00. All proceeds will be donated to Dollars for Disasters. By participating you are practicing our recent grace/courtesy focus of charity! Have you ever thought about becoming a meteorologist when you grow up? 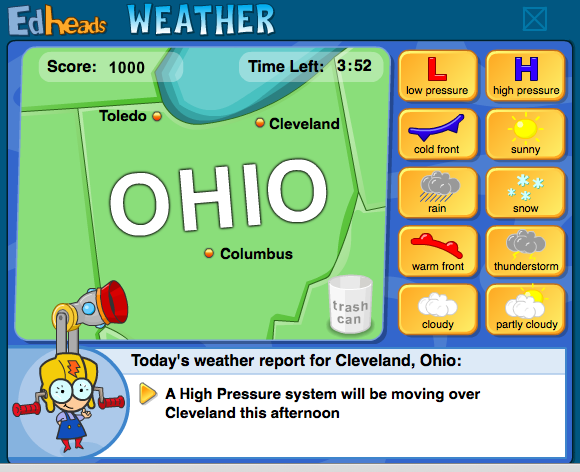 Give weather reporting and forecasting a try using the following Edheads game! 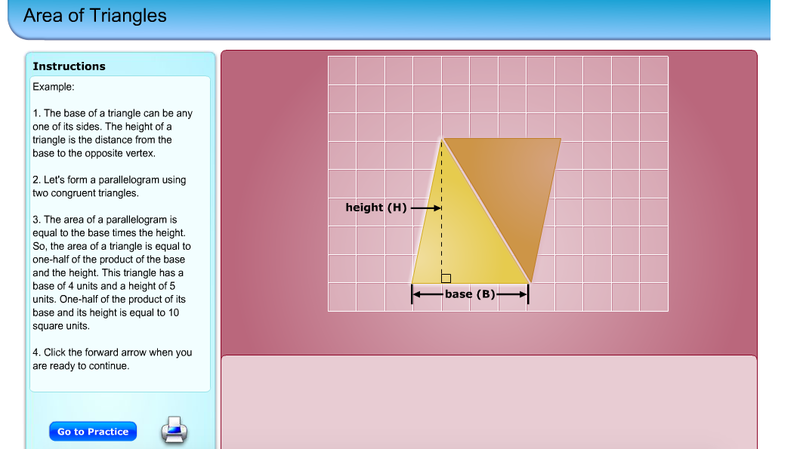 Are you looking for more practice with finding the area of triangles? Here is a great virtual lesson you can use to help you master this skill. I hope you are enjoying your long weekend! I'm am busy planning another math/science-packed week for you at Ellis! 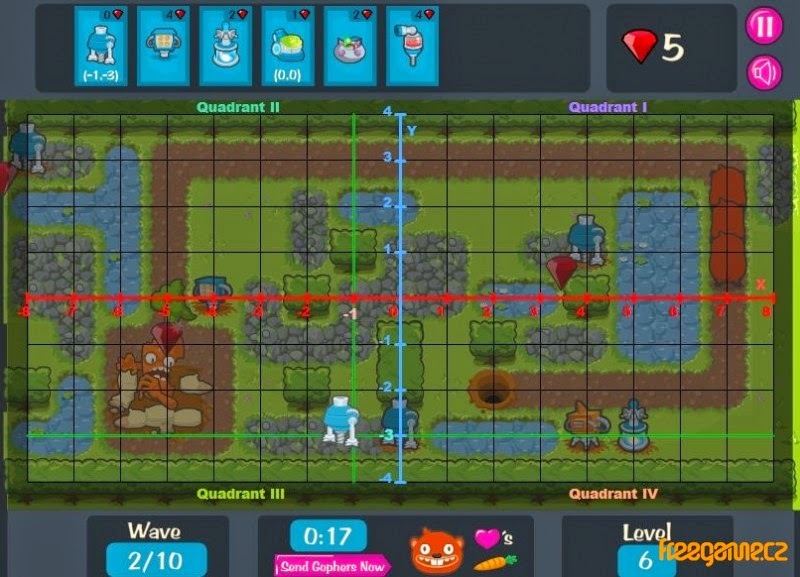 Our math lessons will involve finding area of squares, rectangles, parallelograms, and triangles. Check HERE for a great resource for you to use to study this skill. You will get plenty of hands-on practice finding area this week to get you ready for a quiz on Thursday. You will have homework to complete Tuesday and Wednesday evening. While you will have two Compass Learning assignments to complete for Friday, you will NOT have a journal to complete this week. Those math tutorial members, please be advised that we will have tutorial Tuesday and Thursday this week. Have a nice weekend, and enjoy your Martin Luther King Jr. holiday! While it is still a bit cool outside, i'm glad the cold spell that overtook our fair city has ended! Let's think warm thoughts as we go throughout our week together. Our science studies will continue to focus on the layers of the Earth's atmosphere. Use your "Extreme Skydiving" choice sheet to structure your research. Four choices from the sheet must be completed by Friday. You will also have a final test on the atmosphere Friday. Use your text packet to help you prepare for the test. Parent/Teacher conferences are taking place over the next two weeks. Please contact me as soon as possible if you forget when your conference is or if you need to reschedule. Because of conferences, math tutorial will only be held on Thursday this week. 1. You do NOT need to sign and return the report card. We will discuss them at the upcoming parent/teacher conferences. 2. The report card contains your child’s 1st and 2nd term grades. 1st term grades WILL NOT be calculated in the final average given at the end of the year. 3. At the top right of the report card you will see your child’s SRI and RIT (MAP) score. These scores are from the administration of the SRI and MAP test given last term. We are in the process of giving these assessments again, and will tell you the most up-to-date scores at the upcoming parent/teacher conferences. Are you interested in attending? Click HERE to register! Happy New Year! I trust that your holiday break was all you hoped it would be. I hope you are refreshed, recharged, and excited to start the third term of school Tuesday morning! Please study the following vocabulary words for a quiz on Friday. You will spend the next two weeks researching Earth's atmosphere. Use the following choice sheet to help you focus your learning. While impossible to do in real-life, you will be "skydiving" through each of the layers of the atmosphere on the sheet! You must complete FOUR choices by Friday, January 16th. Parent/Teacher conferences will take place over the next few weeks. I will send home a conference request form this week. Please indicate on it the times that work best for us to meet and return it to me as soon as possible. Conferences will be scheduled on a first-come-first-serve basis. I will send home a slip of paper confirming our conference day and time. I look forward to sitting down together and talking about what's happening in our classroom! I'm sure you are excited to receive your first report card! Final grades for the second term have been put into the gradebook software and report cards will be printed this week. I will hand them out as soon as I am able to. Keep in mind that you are able to log onto Power School and see your final grades at any time. Enjoy your last few hours of break! I'll see you Tuesday morning!